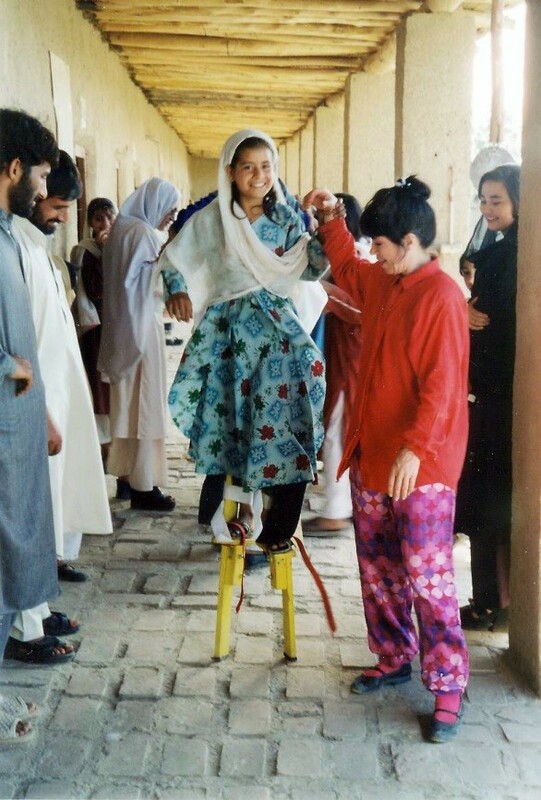 Joanna Sherman, founder and Artistic Director of Bond Street Theatre, has been initiating and directing theatre projects for social improvement globally since 1984 and in Afghanistan since 2002. The company works primarily in post-war, refugee and disadvantaged communities, collaborating with local artists, and applying the arts to the peacebuilding process. Current focus areas: Afghanistan, Myanmar, Malaysia, Lebanon and Tunisia. 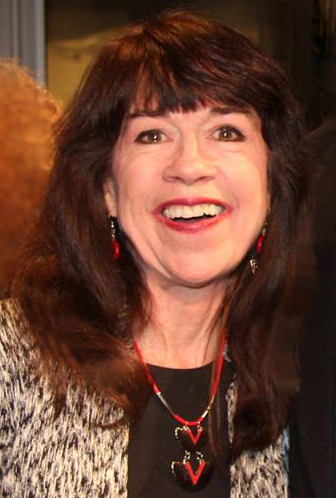 Ms. Sherman has directed and taught internationally, is a frequent speaker on Theatre for Social Development and a member of the Laboratory for Global Performance and Politics at Georgetown University. She is currently conducting theatre-based programs for community improvement in Afghanistan through the US Embassy and the US Institute for Peace, and a theatre project with refugees and migrant workers in Malaysia. She received the 2014 Lee Reynolds Award from the League of Professional Theatre Women and the 2015 Otto Award for Political Theatre, and served as a Cultural Envoy in Myanmar in 2010. Under her directorship, the company received a MacArthur Award for its interdisciplinary and intercultural programming. She has been an advocate and speaker on the role of the arts in peacebuilding at the United Nations, National Council on Women, US Institute of Peace, Association of Performing Arts Presenters, UN Conference on Women in China, universities, and other arts fora, and featured on CNN, BBC, NPR, Voice of America and Radio Free Europe. 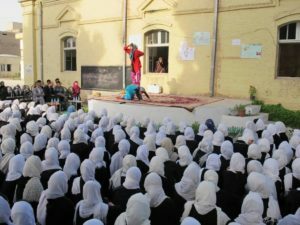 Publications include The Children of Afghanistan (University of Texas Press) and articles in American Theatre and Women in Theatre magazines. She is the 2018 recipient of the CUAA Peter Cooper Public Service Award and will be inducted in The Cooper Union Hall of Fame on June 1, 2018. Ms. Sherman has a BFA in Art and Architecture from the Cooper Union School of Fine Arts, and an MA in Theatre & International Studies from New York University. She received an NYU Distinguished Achievement in the Arts Award in 2004. Ms. Sherman continues to design and implement arts-based projects for international relief organizations. She also plays tenor saxophone with the Shinbone Alley Stilt Band. Afghanistan: I have been working in Afghanistan since 2003, and in Afghan refugee camps in Pakistan before that. My initial goal was to help revive theatre after years of Taliban rule during which all of the arts were forbidden. Since then, my work has focused on using theatre as a mouthpiece to speak out for injustice for women in shelters, street-working children, youth, the incarcerated, police, soldiers and others. 1) With my colleagues at Bond Street Theatre, we created four all-female theatre groups that perform solely for women, since it is still taboo for women to perform publicly. Our women’s troupes have been able to reach women in prisons and shelters where women have little access to information about their rights, especially in a justice system that is heavily weighted in favor of men – a women’s testimony is only worth half a man’s. Often, to reach women isolated in their homes, the troupes perform right in women’s houses. 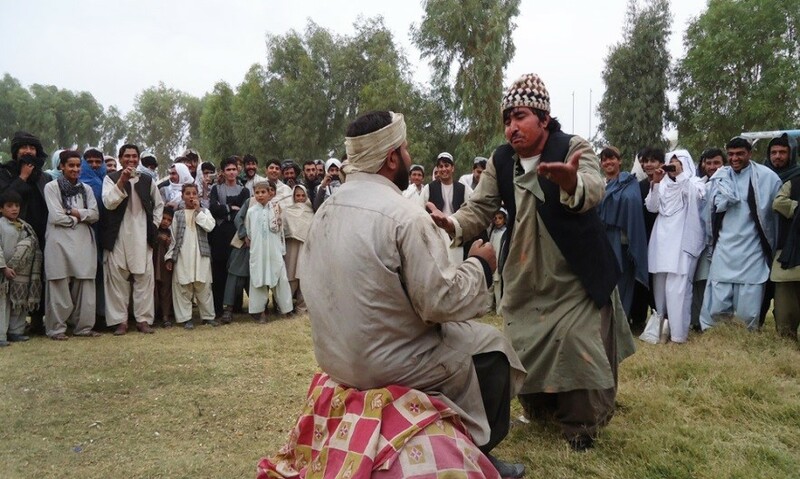 2) Our Provincial Youth Leaders program has trained more than 500 youth in 25 provinces across Afghanistan to use theatre to advocate for peace, promote rule of law, and educate the public on human rights and social justice principles. The performances include post-show activities and have enormous impact. Most important, despite the plethora of bad news we read about Afghanistan, I have seen that Afghanistan’s youth have the passion and motivation to move the country forward toward social progress and peace. 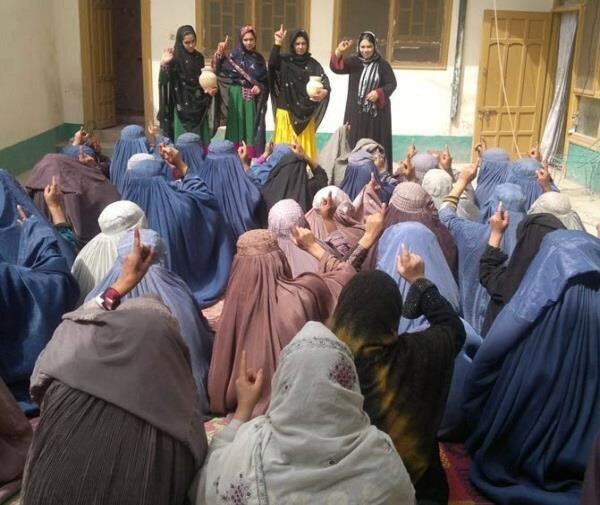 Kandahar Women’s Theatre show about women’s right to vote. 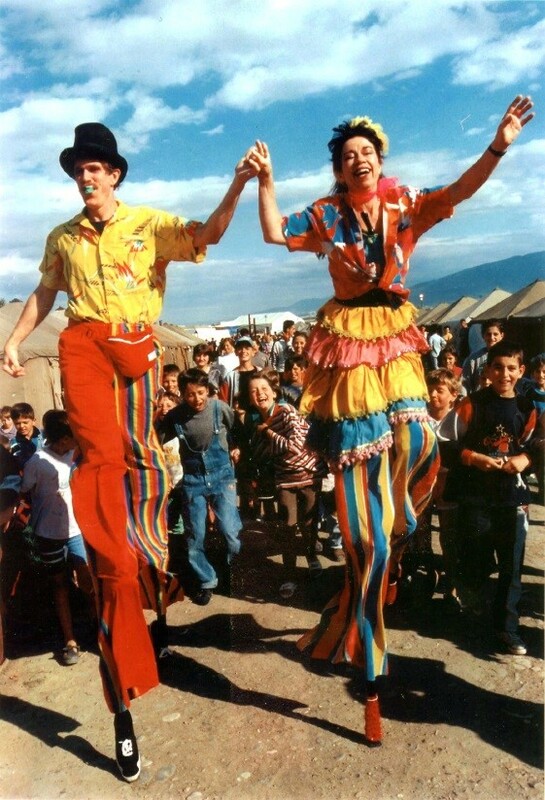 The Balkans: After four years of working with refugees and on post-war issues with artists in Kosovo, Bosnia & Herzegovina, Serbia, Albania, Macedonia, and Bulgaria, the idea of bringing these artists together was natural, and led to forming the Performing Artists for Balkan Peace. It was an amazing accomplishment: five theatre directors from regions still sensitive from recent wars, succeeded in creating a collaborative theatre production in two weeks, with 20 actors representing 9 countries and 5 language groups. The process was not without its stormy moments, but was eminently successful as we all discovered the commonalities of issues among the groups. The network remains devoted to the active pursuit of social cooperation through the performing arts, and strengthening the role of the artist in the community. Myanmar (Burma): I went to Myanmar in 2009 to learn about the Rohingya, a Muslim minority that had been excluded from even the most rudimentary services — land, education, health care – for decades. At that time, Myanmar was under strict military rule, heavy censorship, and contemporary theatre was strictly forbidden as being too dangerous to the regime. We found one theatre company that was experimenting and performing in secret. 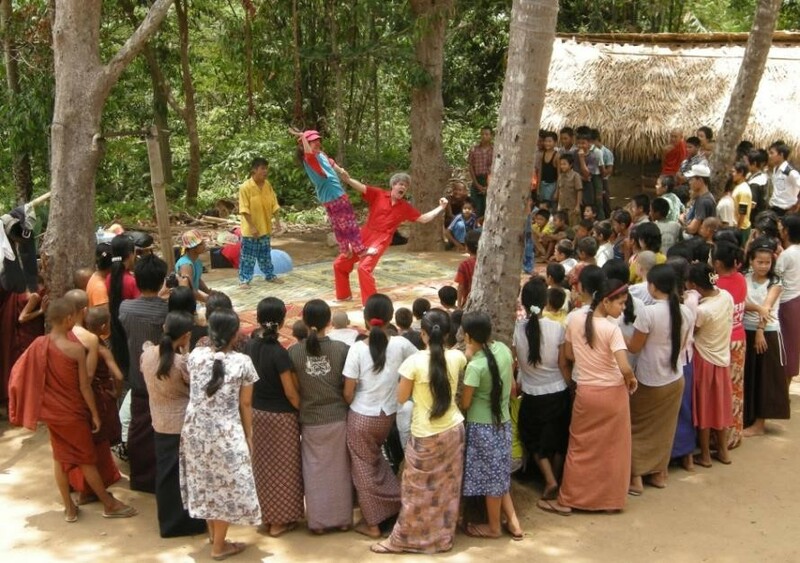 Over the years, we worked with this group, creating shows about hygiene for children in jungle villages, shows about interethnic tolerance to ease Buddhist-Muslim tensions, and finally, in 2016, a contemporary theatre about the politics and cronyism that is now plaguing the slowly democratizing nation. Malaysia: Currently I am working in Malaysia, a destination for refugees from Sudan, Somalia, Libya, Iran, Iraq, Afghanistan, Yemen, Syria, Palestine, Sri Lanka, and elsewhere. Despite harrowing journeys at the hands of traffickers, desperate families seek a safe haven to raise their children. I have been focusing on the Rohingya refugees, and created the Rohingya Women’s Theatre, and the Somali community. 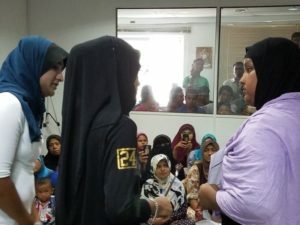 Refugees have few rights here, since Malaysia is not a signatory to the UN Convention on Refugees, which leaves refugees extremely vulnerable to exploitation. Working with legal aid organizations, my job here is to use theatre to translate information into theatre pieces that can convey information on refugee rights and resources in a way that is understandable across any of the plethora of refugee languages. 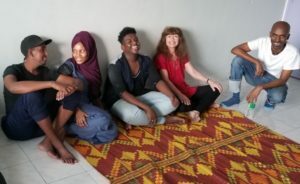 Relaxing after a workshop with Somali refugees who want to learn how to create theatre. This entry was tagged Joanna Sherman, Peter Cooper Public Service Award. Bookmark the permalink.